A man has appeared in court after police seized heroin worth more than £120,000 at a Moredun flat. 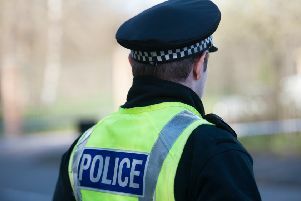 Officers executed search warrants at Craigour Green, Muirhouse Crescent and Gorgie Road on Wednesday. They recovered a large quantity of heroin from the flat in Craigour Green in Moredun, along with drug paraphernalia and £1600 in cash. Police seized around £5,400 in cash from the properties in total. Kevin Hood, 29, from Edinburgh, appeared yesterday at the city’s Sheriff Court on a drugs charge. Mr Hood made no plea and was granted bail pending a further appearance.